The flooding tide of media companies, sports teams and athletes in the present ‘go digital’ era are emphasizing on the need to provide extreme fan experience both on and off game days in order to improve brand equity and maximize engagement time with fans. A superior second screen experience with exceptional content strategy and innovative gaming features both during game days and non-game days is the need of the hour. To redefine engagement during game days, Fanisko, a fan engagement and analytics sports company, created play-by-play prediction gaming to offer thrilling live in-game experience for Cricket—a sport that is followed by over 2 billion fans globally. “Even though our patent pending play-by-play prediction game during live games was highly popular and garnered over 350,000 user downloads in Google play store, we saw an excellent opportunity to expand our product to offer great value even on non-game days,” states Sathish Chittibabu, CEO, Fanisko. Evolved from a core mobile first gaming company, today, Fanisko offers fan engagement platform-as-a-service to Sports Clubs, Leagues, College & School Athletics, Pro-Athletes and Celebrities. “Our platform is content agnostic, it can take in any form of content and present it in a consumable manner to fans,” says Chittibabu. Be it video, audio, long form or short form articles, byte sized content or even personal stories—Fanisko provides content with unique features that enhance fan experience. The platform also includes optional features such as a direct messaging feature to allow the fans to message the team or a player in the app; it may be integrated with an ad network for revenue generation or utilize our customized sponsor messaging directly in the app. 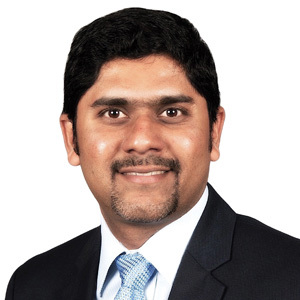 “Our mobile first, one stop platform targeting millennials with a combination of unique content strategy, product offering, including gaming and AR/VR technologies will help our partners and us to stay ahead of the competition,” connotes Prasanna Sugavanam, Co-founder and VP Data Analytics, Fanisko. As the users engage in the app, their behaviors are fed back to the team/player to understand user preferences—on what works and why. This understanding is utilized to further improve user experience in the form of customization of content and/or marketplace offers. The algorithm to curate trending content that lays an emphasis towards showcasing content from some of the best platforms that are used by the fans makes Fanisko’s platform a one stop shop. A real time AR based gaming “Hit a Homer” for Baseball is the future of immersive engagement! “We plan to offer similar but exciting versions for other sports,” accentuates the CEO. These games offered on the platform help the teams to increase the level of fan engagement and also reward fans with free game tickets, photo opportunities with players, and signed jerseys etc. According to Chittibabu, usage of social media is time consuming and many times frustrating as an organization’s message is lost amidst the volume of noise that engulfs every social media user and fails to capture the attention of their fans. “To this end, Fanisko provides an opportunity to build and enrich the relationship that our customers have with their followers in a unique way that traditional social media formats cannot provide,” affirms Chittibabu. Envisioning that the sport technology space is changing from analog to digital, it is of paramount importance for the brands to connect with fans and provide best value. Fanisko’s digital fan engagement offers targeted messaging, from generic to specific, solicits crowd sourced feedback and continues to innovate to reduce the gap between fans and their beloved team and players. “We look to stay ahead of that technology innovation curve to offer innovative fan engagement services to teams and athletes across all sports and geographies,” assures Aravind Sampath, Co-founder and CBDO at Fanisko.